The lamp has a geometric figure that is truly striking. 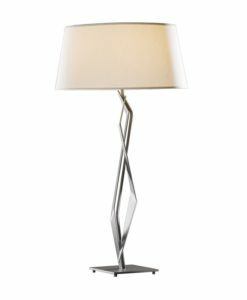 The unique, sharp bends of its hand-forged wrought iron base are evocative of bolts of lightning. The shade complements the angles of the base with its similarly angled flared shape. Available with choice of finish and shade color. 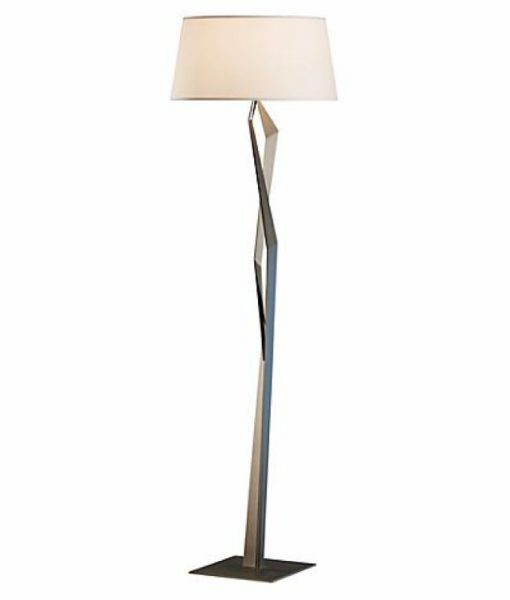 The Facet collection includes a pendant, table lamp, and floor lamp. There are several shade options and finishes available.